Well, well, well, how the tables have turned. Paris Saint-Germain's 2-1 victory over Liverpool on Wednesday night caused quite the stir among football fans both biased and neutral. PSG stars - mainly Neymar - were widely derided for going down too easily, spending too much time on the floor, and generally being shithouses. Even European Ryder Cup captain Thomas Bjorn got in on the act. Watching PSG makes me hate football. An array of wonderful players doing the beautiful game no good. 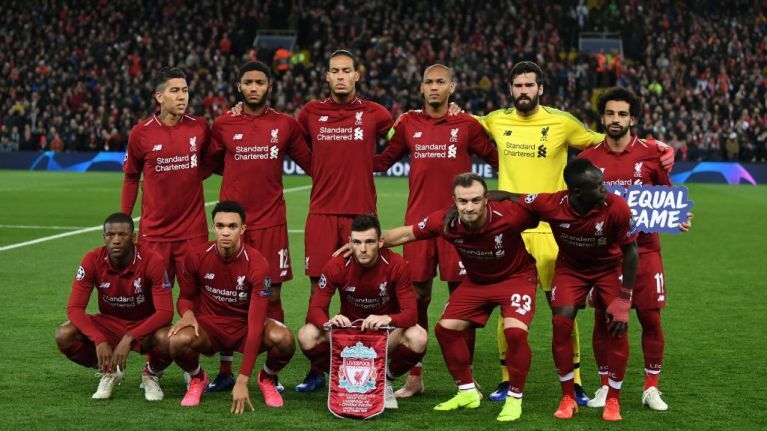 Former Liverpool defenders Jamie Carrgher and John Arne Riise chipped in too, labelling the PSG players' antics 'embarrassing' and 'pathetic'. And to an extent, they had a point. Neymar was guilty of doing one roll too many when he was fouled. Marco Verratti should have been sent off. But there was no simulation, no outright cheating, just a dominant performance with the occasional tumble. But PSG were not alone in exaggerating contact during this group stage clash. A clip doing the rounds on social media shows both Mohamed Salah, the lord and saviour for all that is good and holy in football, and Dejan Lovren, his best mate, both going to ground very easily within the space of 15 seconds. The referee quite rightly didn't give either incident as a foul, because they were not. Rival fans on Twitter are enjoying exposing what they consider to be hypocrisy from many Liverpool fans, who have been sticking the boot into Neymar since the game for having the nerve to fall over when kicked. Liverpool fans conveniently forgetting that no team has a monopoly on diving.....Suarez and Gerard were top exponents of this dark art.